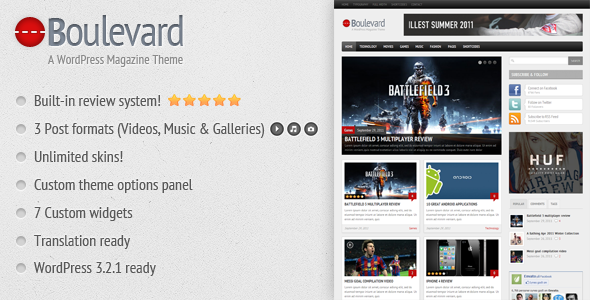 Boulevard is a straightforward and feature-rich WordPress magazine theme. With the built-in review system (with up to 5 rating criteria) and the 3 post formats (videos, music & galleries) Boulevard can be used for almost any niche. Furthermore you can customize the look of the site easily via the custom theme options panel.